Spirits at Prairie Creek Park is a geolocative game that you can play at Prairie Creek Park. Players explore the park and use different senses to detect hidden spirits. We recommend the game to played with a group of people, particularly a family! Each group only needs one mobile device to play. Already at Prairie Creek Park? Play now! 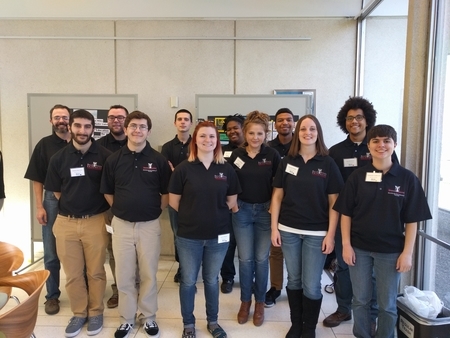 We are an interdisciplinary team of eleven students and one faculty mentor representing Computer Science, Animation, Telecommunications, and Philosophy. We are working with Camp Prairie Creek, a free summer camp run by the Muncie Sanitary District, to create a game that encourages themes of environmentalism, water quality, and outdoorsmanship. This is free software licensed under GPLv3, and the source code is available on GitHub. If you are interested in the code for the project, feel free to check it out here!